A transgender student was granted access to an Illinois public school’s female locker room Friday after reaching an agreement with the school. 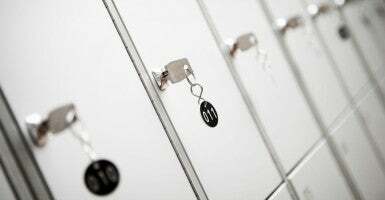 The agreement with the Department of Education’s Office for Civil Rights states that “Student A” will change behind curtains installed by the district in the girls’ locker room. The school has since upgraded to stalls for increased privacy for students. Township High School District 211 Community Relations Director Thomas Petersen confirmed to The Daily Signal via email that the school has complied. The resolution was reached after the Department of Education launched an investigation into a civil rights complaint by the transgender student’s family. Without reaching an agreement, the district could have lost millions of federal dollars and faced a lawsuit, reports the Chicago Tribune. “Washington bureaucrats have no business overruling commonsense school board policies designed to protect the privacy interests of girls in intimate settings,” Roger Severino, director of the DeVos Center for Religion and Civil Society at The Heritage Foundation, said.